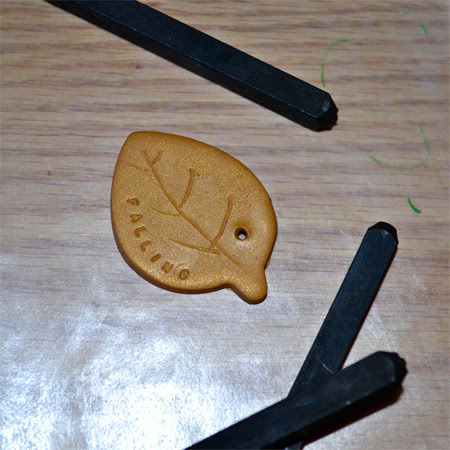 I decided to get out the polymer clay again (here's what I did with it the first time) and do a little project for Fall. 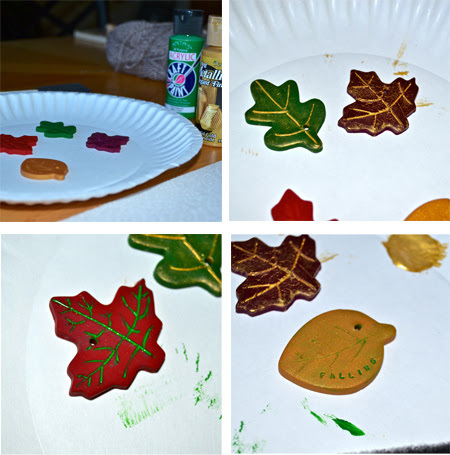 I actually started two projects at the same time, so here's the first one: Fall Leaf Ornaments. 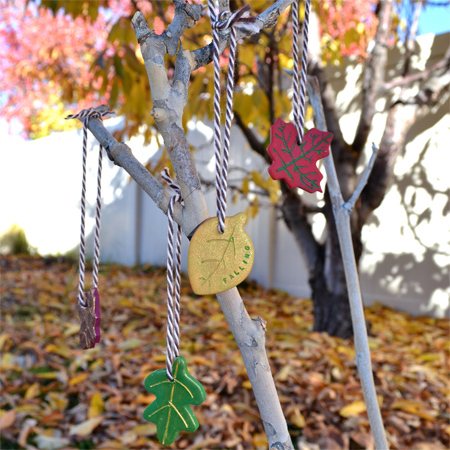 I decided to use these as ornaments for my Thanksgiving tree, but these could just as easily become necklaces, gift tags or (if you leave off the hole for stringing) brooches. 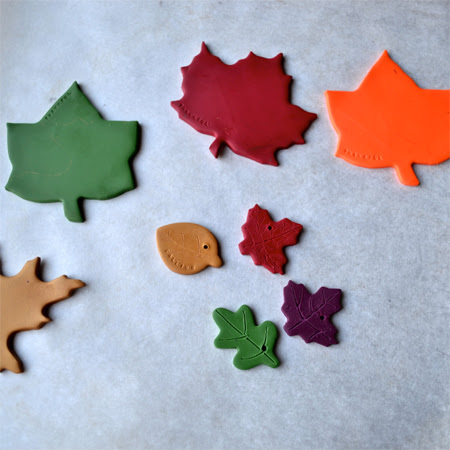 I pulled out my new leaf shaped cookie cutters (mini and regular sized). I wish I had checked to make sure that all of the clay was good. The burgundy clay I'm working above was terribly dry. It really gave my fingers a workout. None of the other packages were as stiff, thank goodness. It still worked though. I used 4 tongue depressors to control the thickness of the clay while I rolled. Then I used a toothpick to draw in the design and put in the hole for stringing. I also have some small letter stamps that I put to use. 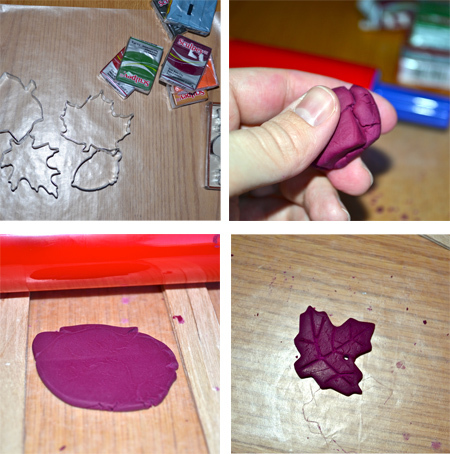 Once the clay was all cut out and ready, I put them in the oven (per package directions) to harden. After the leaves cooled, I pulled out some acrylic paint and a paint brush. I painted each shape, allowed it to mostly dry and then took a damp cloth and rubbed off the excess paint from the surface. Then I strung each leaf with some yarn. 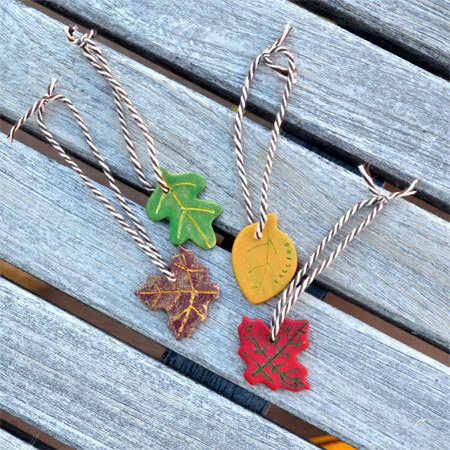 I probably will need to make a few more leaves to fill out the tree, but these four definitely add some personality to the branches. Next week I'll show you what I was doing with the larger leaves. Have a Happy Day and a Great Weekend, too. 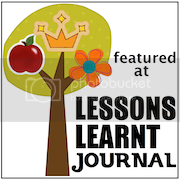 Hi MJ, I’m Anne from Life on the Funny Farm (http://annesfunnyfarm.blogspot.com), and I’m visiting from Clever Chicks. These are sp pretty! 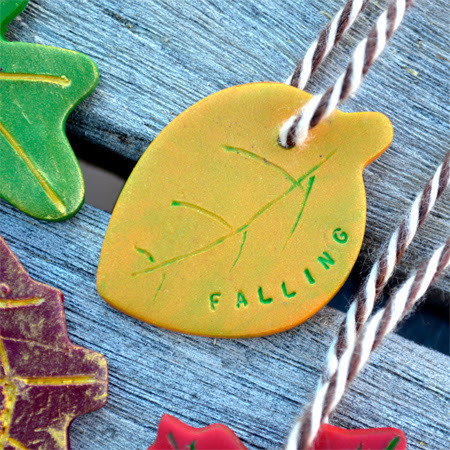 I love the colors, but especially love the little words on the leaves. I assume you make Christmas ornaments, too? I haven't tried my hand at any Christmas ornaments yet, but this would be a fun medium for them. I love my little letter stamping set, it's fun to be able to add a little personal touch. Thanks for dropping by!